What Is The Difference Between Niche and Audience? 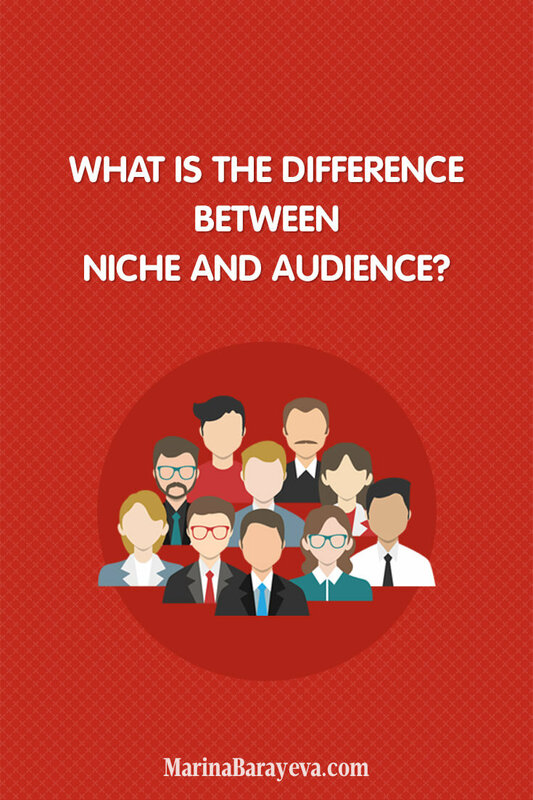 Home → Blog → What Is The Difference Between Niche and Audience? Is there a difference between niche and audience? What do you focus on? Do you know what is a niche market of your business? People are often confused what the niche and audience are about. These two words sometimes even used as synonymous, but they are not. Your audience or target market is the group of people you serve. Your niche is the service you specialize in offering to your target market. 1. Pick the niche, the specialization, which you want to focus on and serve different target markets. 2. Choose the audience, people who you want to work with, stay with them and look for different services, which you can bring to them. In life people don’t buy product or service, they buy the solution you offer to them. You probably heard about finding the needs of your customers, then providing a service, which solves it. You can be a designer, who specializes in creating visual content for online media. This is your niche. Then you need to find people who need this service. 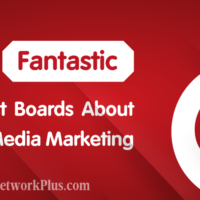 Online magazines, companies with the corporate blogs, bloggers are your target market. If you are a photographer, your specialization can be the portraits, or even more narrow – the headshots – this is your niche. Who are those people who want or need it? Business people, service providers, entrepreneurs with the online presence, people who need pictures for the website and online profiles. Actors and models need update them portrait regularly too. After you establish yourself on this market, you can offer your service to another audience. That’s how you can expand your business. Another way of looking for the niche is to consider how you can make people’s life better. Think about what people want, what they dream about. 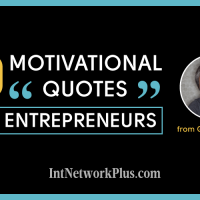 Many of them want to have more free time, travel, be in a good shape, have a successful business, and so on. They may not tell you directly about the problems, but find what they want to achieve and help them to get there. 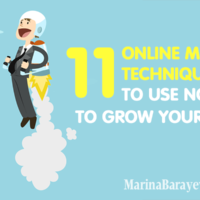 When you choose the niche and grow your brand, you become an expert for people. By building a business around the niche, select the service you provide for the specific audience. Develop yourself there, and then offer your service to the new audience. The alternative approach to the business is to choose an audience and provide different services to it. www.writersedit.com is an online community for writers and book lovers. They share advices, inspiration, give tips on writing and publishing. www.clickinmoms.com is focusing on women, who like photography they post tutorials, have the discussions at the forum, host classes about photography, retouching, photography business, etc. www.smashingmagazine.com provides quality content for the web developers and designers. Staying with the same audience, add new services and products to grow your business. We clarified what is the niche and audience (or target market). Then what is the niche market? In other words, a niche market is a group of people who you provide a particular service. You can choose either from finding the right niche or clarifying the audience. Then you will determine your sweet spot – the niche market. Start at where you are. The easiest way to find your tribe is to be the part of your audience. Start from the small. Focus on the audience who you already know. Are they getting the complete service and information to do them work great or to get the life better? If no, then find what they need. Help them to get where they want to be. Once you become an expert for the one group of people, then move to another audience. If you target to many audiences from the beginning, there is a big chance that you will fail. Looking for the niche, think about what you like and passion about as well as what are your personal strengths, skills, and advantages? What is one thing, which you do more than others? Will you be interesting in that in a year? Don’t think about your competitors now. The truth is that whatever you choose, more likely that there are many people already started to do something similar. But it shouldn’t stop you. Decide what you enjoy doing, what will motivate you to improve and keep working to learn more, to go deeper. To differentiate your specialization from the competitors, you need to find what you can do better than they do. For example, after working as a freelance copywriter, Pam Foster decided to specialize on pet copywriting. When you are choosing the niche for your new blog, think if the subject you want to write about is overdone or you have something unique to say. 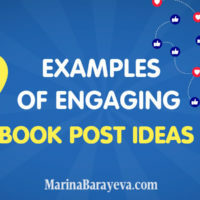 Will it be useful to your audience or it will be one more similar topic on the Internet? Specify your niche and audience you will know where to find people who you want to work with. Then your marketing strategy will be more efficient. But what if you still not sure what niche market to choose? Pick the one, which is close to you and begin with it. You will see what works and what doesn’t. You will have changes in your strategy. The most important is to start doing something. While you are thinking, nothing works, but when you are doing you see what you need to change to make things happened. What are your niche and audience? If you have any questions or results to share, I’d be happy to hear them in a comment below.